The iLog series began as reflection on our relationship with consumer technology. Their design strongly echoes contemporary products such as iPods and advanced mobile phones. However their basic material and minimal functionality subverts these complex devices. We feel that this reduction in functionality opens up a multitude of creative possibilities. 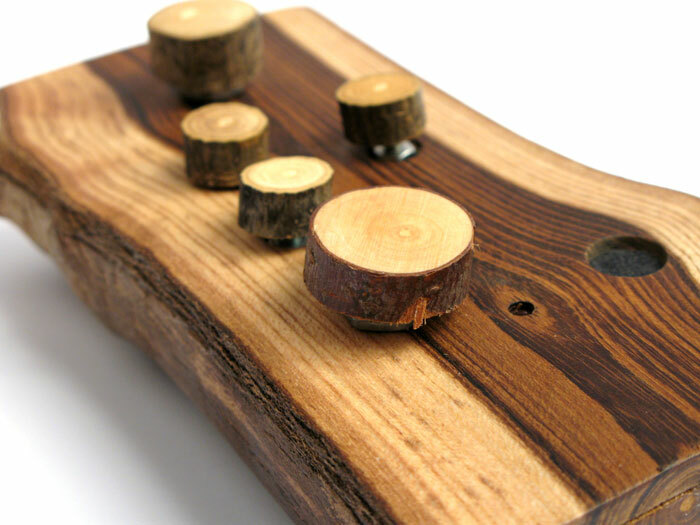 The iLog Rustle which records up to 20 seconds of sound and reduces it into distorted fragments forces the user to explore the possibilities of 20 seconds of sound. The iLog Photosynth converts light into audio allows you to immerse yourself sonic properties of electrical light emitted from the gizmos that surround us. 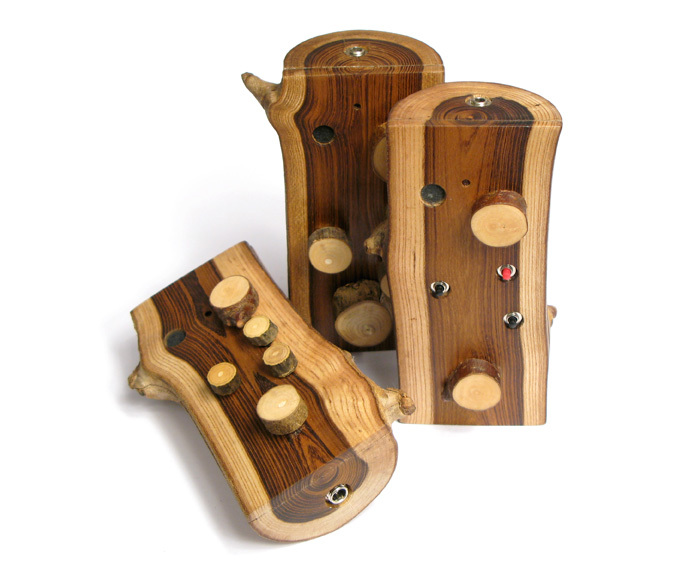 The iLog data, a wooden gestural computer interface is developed by workshop participants who design the layout of their Log in response to the Log itself and their ideas of how they might hold, move or interact with it.